Forza Motorsport Forums > Forza Motorsport 5 > Racers Lounge > The Strip > Whats your fastest? Well, what are your fastest drag cars for each class? Do you use the heavy leaderboard cars, or try to set your own? Do you use your own tunes or a downloaded tune? I'm working on my B, A, and S Class tunes to inch up a bit more. I use TCS and sometimes manual w/clutch, but mostly just manual. All other assists off. Your granny posting, not double proof-reading like you should. I asked for a 10 word post, not a novel. I don't run the slower classes as my patience runs thin on slower cars. LOL I mean this in a good way. I also honestly don't care if anyone runs a leader board car or not. You bring what you bring to a race whether its a Honda Civic or Pro Stock Drag car that runs 6s. I like the new Nissan R390. It hits 7.500 in quarter, 11.717 in half and 18.900 in mile. 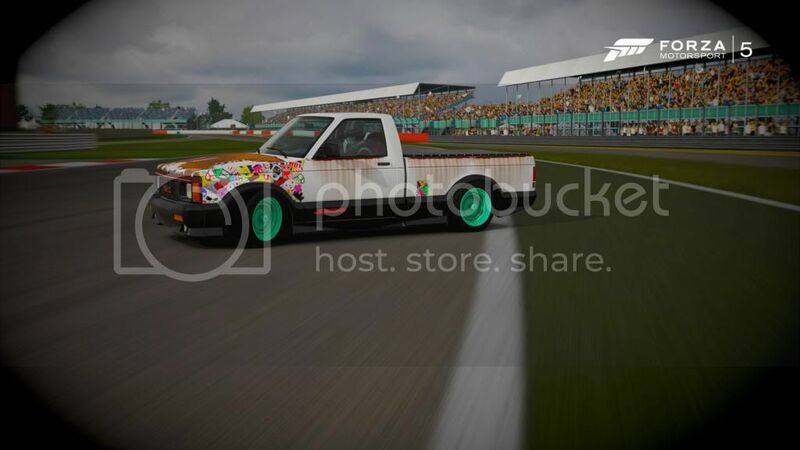 sorry dont drag but if i did i would get two of the leader board cars dowload tunes on one and try to beat that with my own. downloading tunes should give you an idea of whats possible with your skill set and tueing your own should let you tailor it to your style. I do like that idea, just very time consuming finding right tune to DL. But a great way to test your skill set. Overall, I just feel more gratification finding a car that's nowhere in top 2500 or so, and putting it there. I would love to try and set a monthly tourney up, or if car gifting is ever enabled, pink slip races. All are my own tunes as well, and I have a lot if them shared even a good stradale tune and all of my shared tunes are good for all distances and are super competitive times I assure you. No, I am running rwd, and yeah pretty sure I have omitted the roll age in all my drag cars. Thin in front , wide rear tires. Yeah thats what you want for rwd. I actually think I might be running 4 gears, but only followed best benchmark to set gears. I can't figure out how to tune from 3rd gear back. I'm not great at understanding gearing. As this is a discussion strictly about Drag racing, moving this thread to "The Strip" sub-section. I have three beast S-Class cars. Would you mind giving out your 458 tune? I don't usually do drag racing but, I usually drag my 396 Nova SS, it's an A class car and it runs 8.8s is the most I can get out of it, any tips on getting better times out of the Nova? Without going over A class? C Class 69' Nova on STOCK TIRES! 17.211 @ 162mph on the 1/2mi. This is my own tune. I love the low class cars. Poketube6681 on the tuning thingy. P class: Honda Civic CRX Mugen '84. Custom tune.